A cataract is a clouding of the eye's natural lens, caused by a clumping of proteins. This cloudiness prevents light from passing through the eye properly and results in distorted vision. Patients will commonly complain of blurred vision, difficulty distinguishing colors, or light sensitivity. Cataracts are an extremely common age-related eye disease. ​​​​​​​In fact, cataract surgery is one of the most frequently performed procedures each year in the U.S. Traditional surgical procedures have proven to be very effective for treating the condition, but Dr. Sonny Goel prefers to perform laser cataract surgery at his Columbia-area locations. 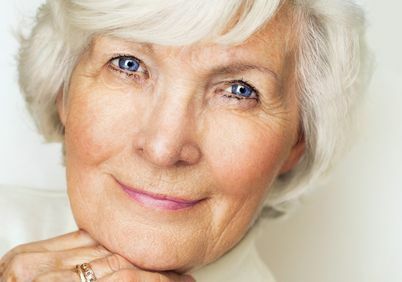 Laser cataract surgery offers unique benefits, including more predictable and precise treatment which results in better patient outcomes. If you have been diagnosed with cataracts and would like to learn more about how we can help restore your vision, please contact our office to make an appointment with Dr. Goel. In traditional cataract surgery, a small incision is made on the surface of the eye, allowing access to the diseased lens. The surgeon will then break apart the clouded lens using an ultrasound probe and remove the pieces using gentle suction. Next, the appropriate intraocular lens (IOL) will be inserted to replace your natural lens and restore your vision. IOLs are synthetic lenses that function just like your natural lens, refracting light at varying distances to provide you with clear vision. During laser cataract surgery, Dr. Goel will use computer software to create a 3-D map based on measurements of your eye. This map will be used to guide the laser, creating a very precise incision to remove the lens. Utilizing this information allows Dr. Goel to create a customized treatment plan that is unique to your eye. The precision achieved through laser cataract surgery offers a number of benefits over traditional methods. The carefully calibrated lasers make the procedure safer and more efficient. Laser cataract surgery consistently results in minimal irritation, inflammation, discomfort, and complications, and reduced recovery times. Dr. Goel also wants to help patients reduce or eliminate the need to wear corrective glasses or lenses. Many of our patients choose multifocal IOLs, and Dr. Goel can choose the right type to help you achieve crisp, clear vision at a range of distances. The recovery period following laser cataract surgery is typically very brief and involves little discomfort for the patient. Most patients can return to their normal activities within a few days. Immediately following surgery, your vision may be slightly blurry but will improve significantly over the next few days as your eyes adjust to your new lenses. It is important to follow your doctor's post-operative care instructions, including using your prescribed eye drops as directed. Cataracts are a common condition but they are highly treatable. If you have been diagnosed with cataracts and would like to learn more about the benefits of choosing a laser corrective procedure, please contact our office to schedule a consultation with Dr. Goel.